This is your chance to win the complete Dal Brothers DVD set, as well as other official Dal Brothers merchandise! Answer our simple question by email, and if you get the answers right, you’re in the prize lottery! 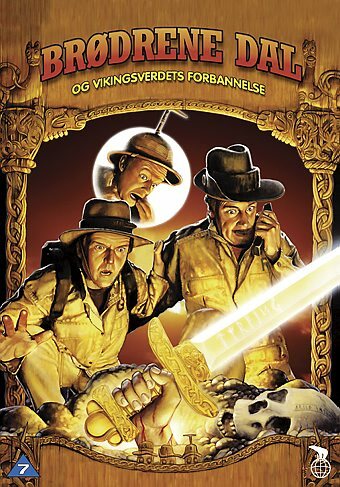 On the occasion of the recent DVD release of the Dal Brothers adventure Curse of the Viking Sword Nordic Fantasy is happy to give away Dal Brothers merchandise and DVDs to one winner of our Dal themed competition. All you need to know is – who played Gaus, who played Roms and who played Brummund in the various series. Send your competition entry to info@nordicfantasy.info no later than February 14th, 2011. Send in your competition entry now to win this Dal Brothers kit worth at least 140 euros / 190 dollars! The winner of the Dal Brothers kit is Henning S. from Malmø, Sweden (full name withheld to protect privacy). Congratulations! The kit has been sent in the mail. The prizes are sponsored by KLM Fanclub and Nordisk Film.